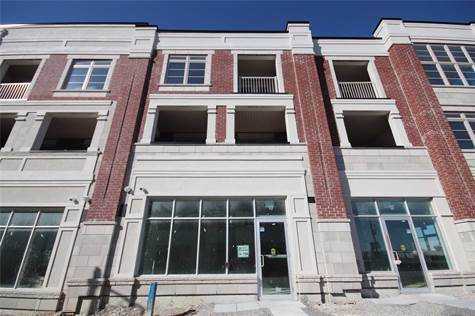 For Sale Is A 4000Sf Work/Live 3-Storey, 3 Unit Freehold Townhouse In Markham! No Maintnc Fees! Perfect For Multi Family Living, Business Owners, Or Investors! Located In A Developed Community In Between 2 Large Plazas! One With Longo's, Banks, Restaurants, Etc & One With Walmart! 3X Sep. Entrances! 804Sf Flex Commercial Unit! 2 Large 2 Bed 2 Bath Townhouse Units On 2nd & 3rd Floors! Suite 1 - 1533Sf With 2 Terraces. Suite 2 - 1663Sf With 1 Terrace, 1 Balc. Provided information is deemed to be correct but not guaranteed. Not intended to solicit properties currently listed for sale or individuals currently under contract with a brokerage.